Gone are the days when looking for wedding ideas used to be a tedious task. With the breakout of Instagram and Pinterest, it has now become easier than ever to plan a wedding. After all, a platform like Pinterest can literally give you endless ideas about your wedding dress, cake, ambiance, design, and so much more. It might not sound surprising, but already millions of people out there take the assistance of Pinterest while planning their wedding. If you are also looking for Pinterest wedding ideas, then you have come to the right place. I will let you know how to use Pinterest to plan your wedding and also share some of my favorite ideas that you would love to include in your wedding. Let’s get it started with Pinterest for wedding 101! How to use Pinterest to plan a wedding? 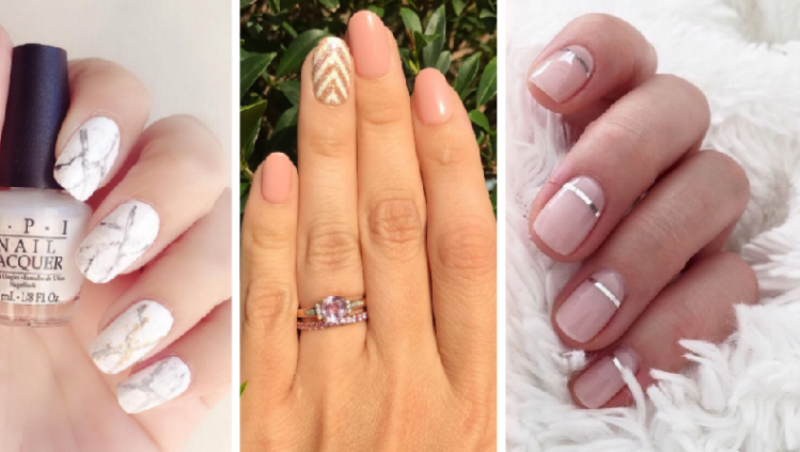 If you are a bride to be, then you need to be familiar with Pinterest. After all, the platform is filled with countless wedding ideas and themes that you would love to implement on your big day. 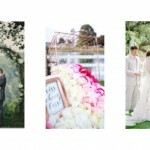 So how can you make Pinterest the best companion for your wedding planning? Here are some suggestions that will certainly help you start things off. If you want, you can have one master board for everything that has been finalized as well. This will let you have a quick glance at every major thing you want on your special day. Though, make sure that in order to get there, you have created separate boards so that you won’t get confused and keep things organized. While looking for wedding ideas on Pinterest, it is quite normal to get lost in the pool of infinite pictures. Chances are that you might be tempted to save everything. Don’t make this rookie mistake else you would be spending a lot of time editing your boards. Before you save anything, ask yourself if this will really add value to your wedding planning or are you pinning it just because it looks pretty? To be honest, we all have been there. Therefore, pin only the pictures that you know are worth saving and that you know you would use them to plan your wedding in the future. Ideally, for each board, it is not recommended to have more than 20-25 pictures. You can even have 10 pictures in each board if you have less time. Just make sure that the pictures you are saving would go well with your vision and that the idea should be easy to implement. Wedding planning might take a lot of time and you will find yourself browsing Pinterest for hours. You can save tons of photos to start with, but there will come a time when you would have to edit your board. 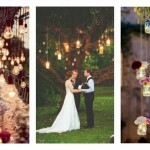 Firstly, try to pick a theme for your wedding so that you can filter the things you no longer need. Simply get rid of some photos from your board that no longer go with your vision. After finalizing a color palette and the overall theme, you can do more digging and find more suitable pictures. Keep editing your boards until you know you have just the perfect collection. This might surprise you, but Pinterest has a slightly different algorithm that is not like Google or your usual search engine. Ideally, it will show you the pictures that would match your existing searches, ideas, forward clicks, etc. Firstly, make sure that every keyword you type on Pinterest would be appropriate and meaningful. Try to be as specific as possible if you want to narrow the search. For instance, if you will search for “wedding cakes” then you might get lost or overwhelmed by the results. Instead, you should look for specific things like “wedding cakes in burgundy and gold” or “snowflake wedding cakes” to get specific results. Since Pinterest supports infinite scrolling, you can literally scroll as much as you like on the searched result page. 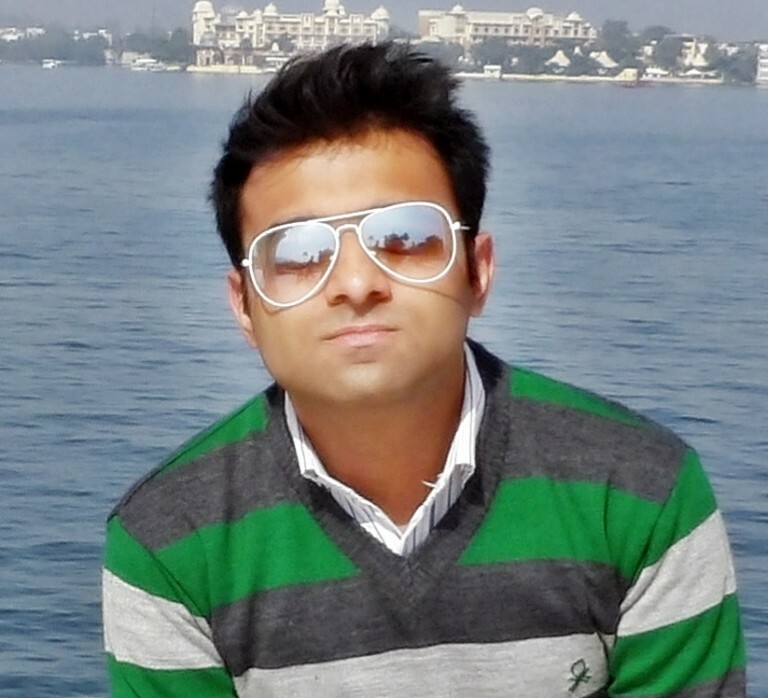 The platform will keep suggesting the appropriate results related to the searched keywords. Alternatively, you can just click on an image that you like and Pinterest will automatically give you suggestions for other similar pins. If you want to know more about a certain image, then simply click on the URL at the bottom of the picture to be redirected to its hosted website. Now when you know how to browse Pinterest to look for wedding ideas, you can start using the platform like a pro. 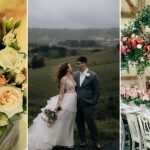 To further help you, we have shortlisted some top wedding ideas that are trending in the Pinterest verse and will certainly help you plan the wedding of your dreams as well. One of the best things about wedding celebrations is how beautifully two different colors can be mixed. The combination of dusty blue and dusty rose is not new, but it has certainly gained a lot of popularity these days. Although both the colors are complementary to each other, they look unexpectedly good when blended together. From bridesmaid dresses to flowers and wedding cakes to décor, you can have almost everything in the combination of these two soothing shades. Let’s be honest – who doesn’t like to have a memory wedding by the beach, right? If you are also planning to have a beach wedding, then you need to hit Pinterest right away. The platform has numerous ideas for otherworldly beach weddings that you would love to implement. From décor to flower arrangements, Pinterest will help you with numerous ideas related to your beach wedding. The beach is not the only place to have an outdoor wedding. The trend of outdoor fall weddings is on a new high and is loved by all. If you live in the mountains or have a suitable place nearby, then you can also have your dreamy fall wedding. They have a certain natural and rustic appeal that makes them so special. 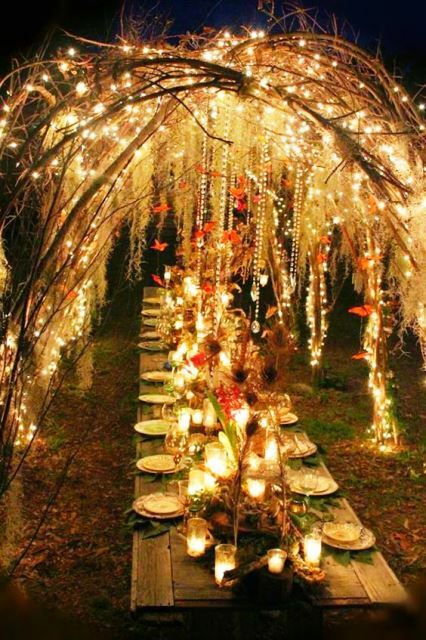 Pinterest is also filled with fall wedding ideas that you would love to check. A wedding cake is probably one of the most important parts of the celebration and is remembered by many. If you want to make a statement, then consider having a drip wedding cake. The best part about drip cakes is that they look amazing even if they have a single or two layers. In this way, you can have a memorable cake even if you have a short guest list. Off-shoulder wedding dresses are making a comeback and you can find thousands of these designs on Pinterest. 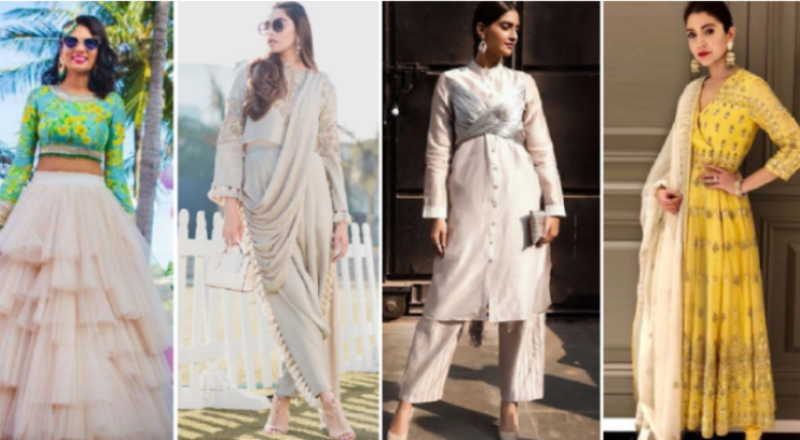 It doesn’t matter if you want to have a more intricate design or want to have a boho appeal instead, you will find the perfect off-shoulder dress on the platform. The trend has already inspired many on Pinterest and you could be the next one to own it as well. 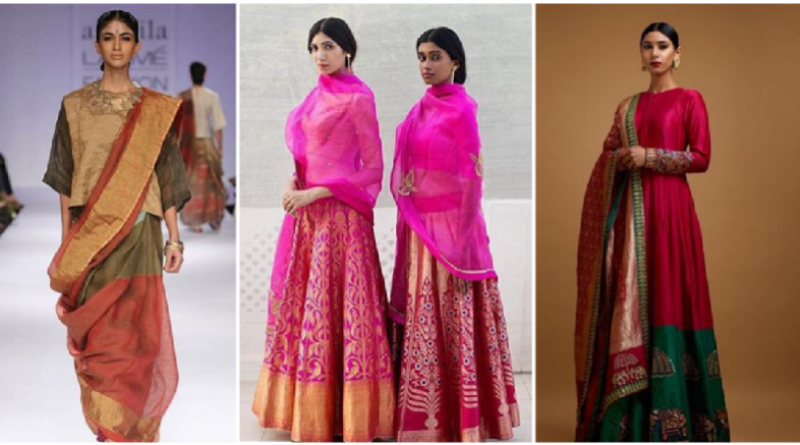 There is a reason why pastel shades are so widely used in wedding ceremonies. If you want your girls to stand out and have a dress that can be worn afterward, then go with pastel tones. It will blend flawlessly with your wedding dress and the girls will also get a chance to pick their favorite colors at the same time. 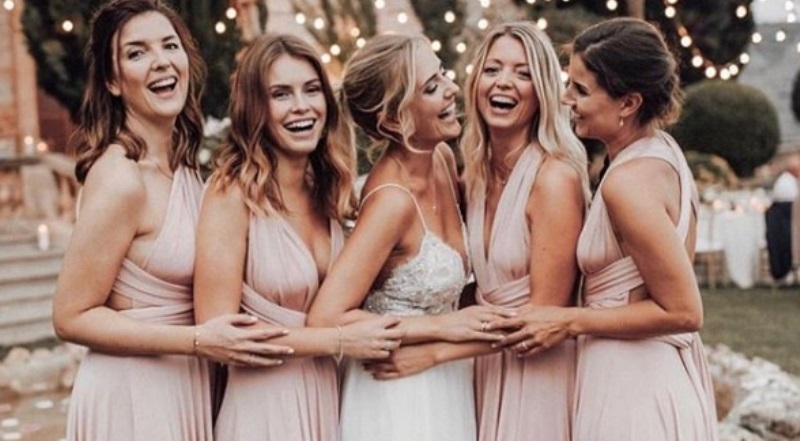 You can head to Pinterest and find numerous designs for pastel bridesmaid dresses. If you want to create an everlasting impression, then why not be a little bolder. While both maroon and navy fall on the darker palette, they go flawlessly with each other. 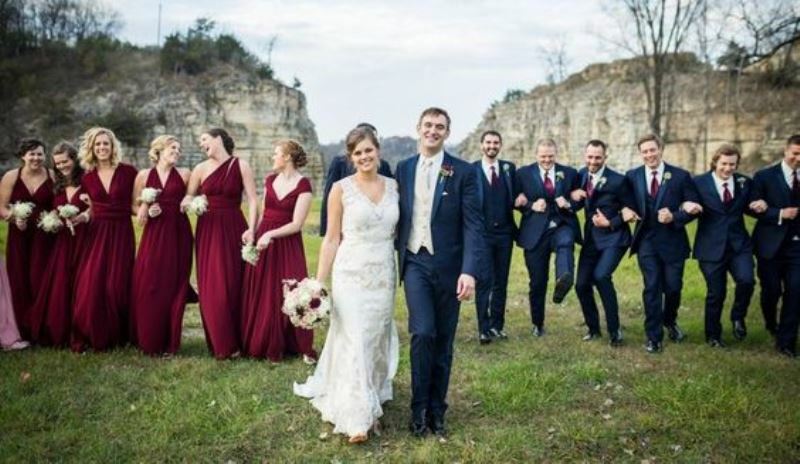 You can have your bridesmaids wearing maroon dresses while groomsmen can wear navy suits (or vice versa). Don’t just stop there. Maintain the same theme with the wedding cake, decoration, and even the wedding bouquet. I’m sure that after looking at these amazing Pinterest wedding ideas, you would be able to have a memorable day with your friends and family. 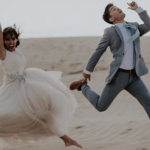 Today, social media platforms like Instagram and Pinterest are widely used to look for wedding ideas and you should certainly do some digging as well. You never know, your Pinterest board might turn into reality someday! If you are also looking for Pinterest wedding ideas, then you have come to the right place. Here's everything on how to use Pinterest to plan your wedding.